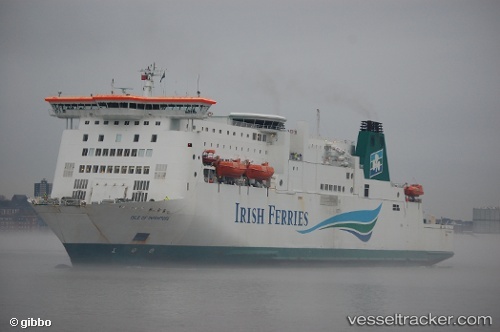 A crew member died aboard an the "Isle of Inishmore", when it was docked in Rosslare, on March 21, 2019. When the vessel was loading cargo, the man in his 20s was fatally injured in an incident at 7.45 a.m. The coroner and the Health and Safety Authority were notified. The Health and Safety Authority and the Garda have launched an investigation into the incident. The 8.45 a.m. Rosslare to Pembroke and the 2.45 p.m. Pembroke to Rosslare Ferries were cancelled as a result. Crossings of the "Isle of Inishmore" resumed from Rosslare for Pembroke at 8.45 p.m.
A passenger travelling from Rosslar to Milford Haven was being treated by a Coastguard rescue crew on May 17, 2018. The Coastguard was alerted at 10.20 a.m. to a passenger suffering a medical emergency aboard the 8.45 a.m. Rosslare to Pembroke crossing. The Rescue helicopter 187 was dispatched to the ferry which was approximately three miles off Skomer Island. A woman who died after going overboard the "Isle of Inishmore" travelling from Wales to Ireland has been identified as Jennifer Massi from London. The body of the 24-year-old washed up in Lawrenny, Pembrokeshire, after she had been reported missing from the ferry on Dec 2. The search involved Coastguard rescue teams, helicopters, the police and lifeboat crews. The Angle RNLI volunteers were requested to launch both the Tamar all-weather lifeboat and D-class inshore lifeboat shortly after 8:30 a.m. The lifeboats launched at 8:43 a.m. and made their way up the river towards the ferry terminal to join other agencies in the search. After searching the area the all-weather lifeboat was tasked further out to sea to continue the search along with the UK Coastguard helicopter as the inshore lifeboat stayed within the haven along with UK Coastguard teams and South Wales Police. Both lif.eboats were stood down by the UK Coastguard at 10:50 a.m and the volunteers made their way back to station, returning to Angle by 11:30 a.m. On Dec 7 an inquest into her death was opened and adjourned until April.